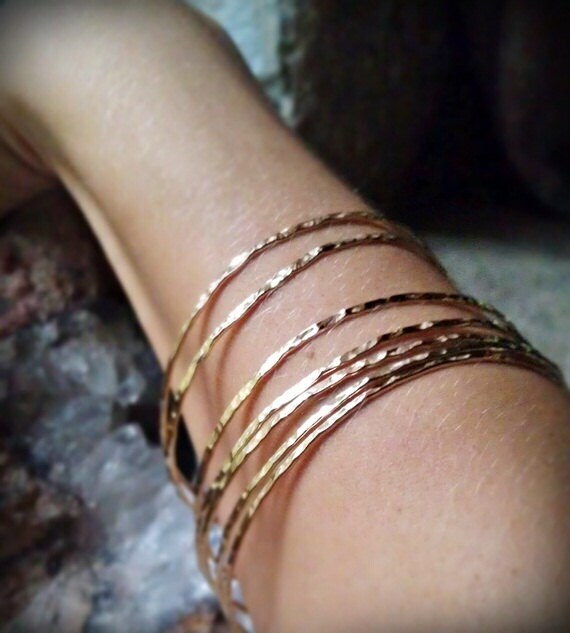 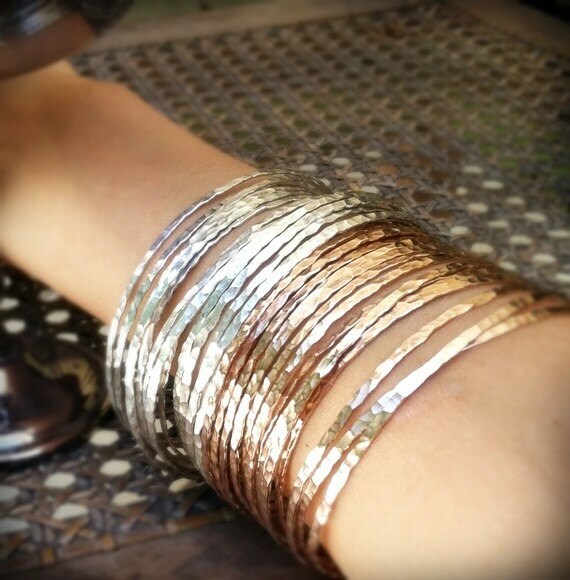 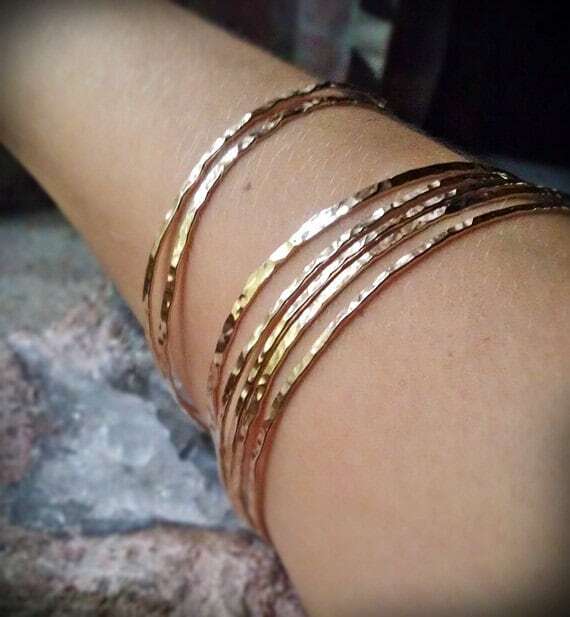 Gorgeous stack of hammered bangles hand forged in 14k gold filled wire. 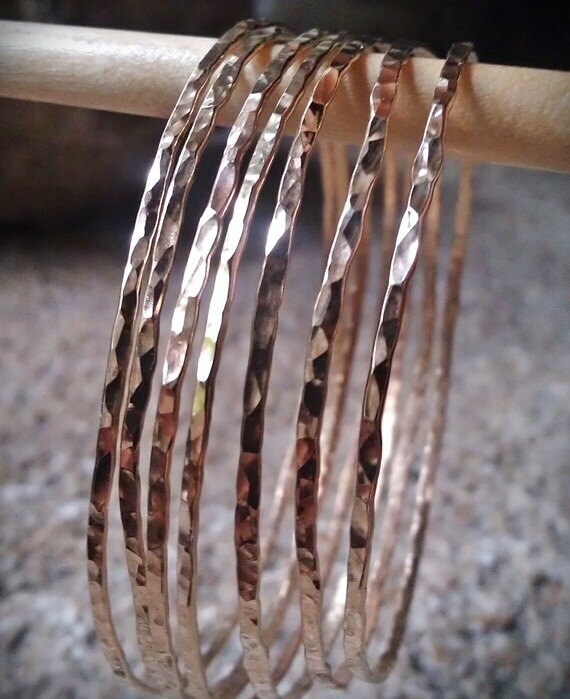 I use 16 Gauge wire so these bangles are light yet sturdy. 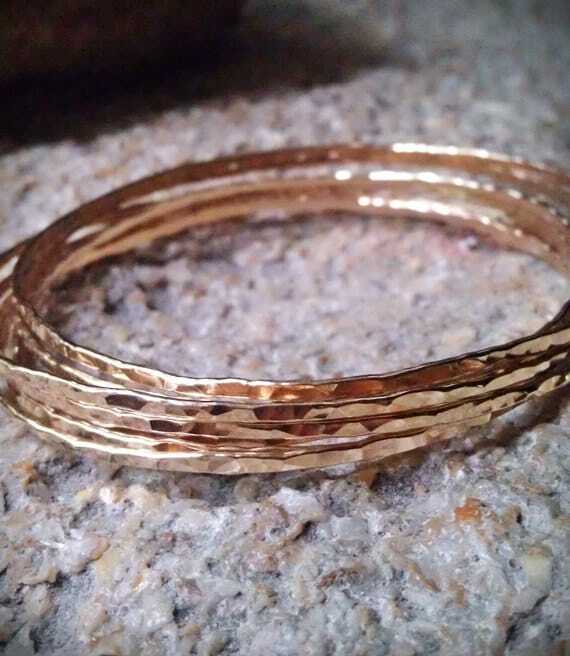 This Listing is for a stack of 7 bangles but I would be happy to set up a listing for as many or few as you would like!